We didn’t have a word to describe the non-separation between the mind and body, so Anat coined a new word – NeuroMovement. Her NeuroMovement exercises help to connect the brain and the body so that they work together seamlessly. I asked her for an immune booster, because my immunity is low from being on a book tour for the past few weeks. She guided me through a wonderful way to rotate my neck, and it was so refreshing! We put one hand on our foreheads, and one hand on the back of our heads, and we slowly turned our heads from side to side, our elbows in the air. I felt so much more clear and focused and present; when we do movements very small, everything is even and peaceful. The space between my shoulder blades opened up a little bit, my hips opened up a little bit, just by making this intentional movement with my neck. According to research done by NASA, people’s balance starts to deteriorate in their 20’s. As you get up and move forward, you are almost falling, continuously. Balance is the brain’s capacity to keep the body from falling, and it improves with practice. When you are young, and your body is changing shape and size as you grow, your body is always having to compensate for new and strange weights. The brain is very practiced at balancing when you are in a young and changing body, but by the time you are in your 20’s, your body stays mostly the same size. Your brain doesn’t have to work so hard to move around. As you age, your body becomes more rigid, depleting your brain’s capacity to balance itself, because it’s not practicing balance anymore. But it’s never too late to improve your balance. 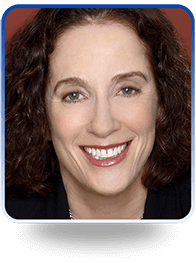 Anat’s new program, created especially for Aware Show listeners, contains brand new video lessons in 4 core modules. These videos have had remarkable effects on people with severe movement and nervous disorders, but these exercises are also used by normal people who want to feel better in their body, improve their cognition, and decelerate the effects of aging.